Back on the 1st January I spoke about my dreams and aspirations for 2019 and well, I can't exactly the year started off as great as I hoped it would. Life continues to throw obstacles and challenges right at me, expecting me to be able to continue to stumble through without my mental health being effected in anyway. Of course that's just not possible at the moment. Once again my mental health continues to be effected by many different things which try to break my wall down day by day. I started to believe things were getting better; life started to be okay again and I was able to get through each day without wanting to completely break down, but it was all just a cover; and things weren't what they seemed to be. Every emotion I felt went to the back of my unconscious mind and I some how managed to block everything out, for a while at least. My mind made me believe I was no longer struggling and I was managing my depression and anxiety, but in fact I wasn't managing it at all, I was just ignoring what it was doing to me. Recently I started to realise I can't keep hiding away from my emotions and what they're really doing to me, I need to confront them face on and manage them in the best possible way I can. 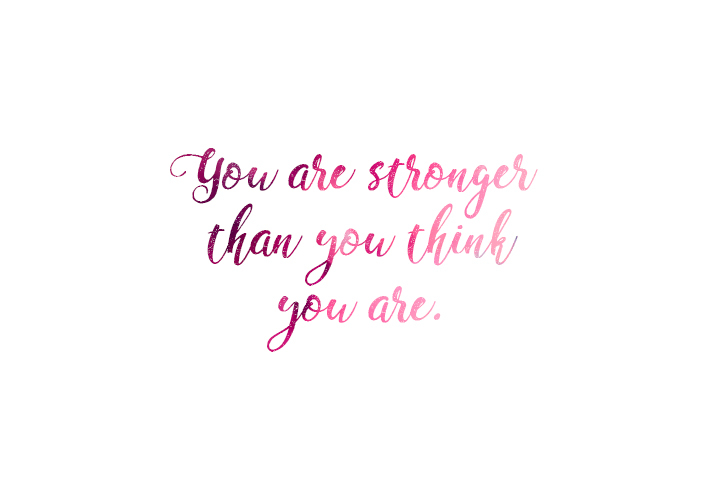 This post is a reminder to anyone who may be struggling with their mental health; you are stronger than you think and you can get through anything; if I can do it, you can do it too.